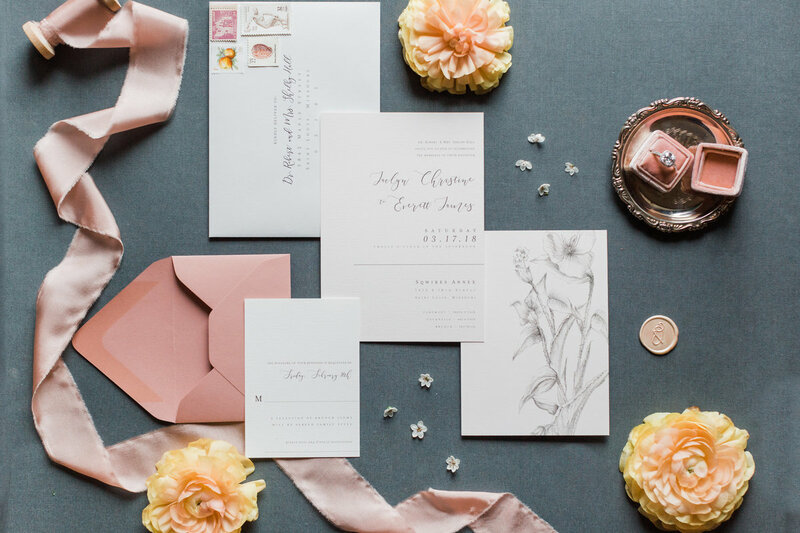 What if you had a friend to help you dream up, design, and take care of creating the perfect wedding invitations and stationery so that you could get back to enjoying your time being engaged? I could be that friend. 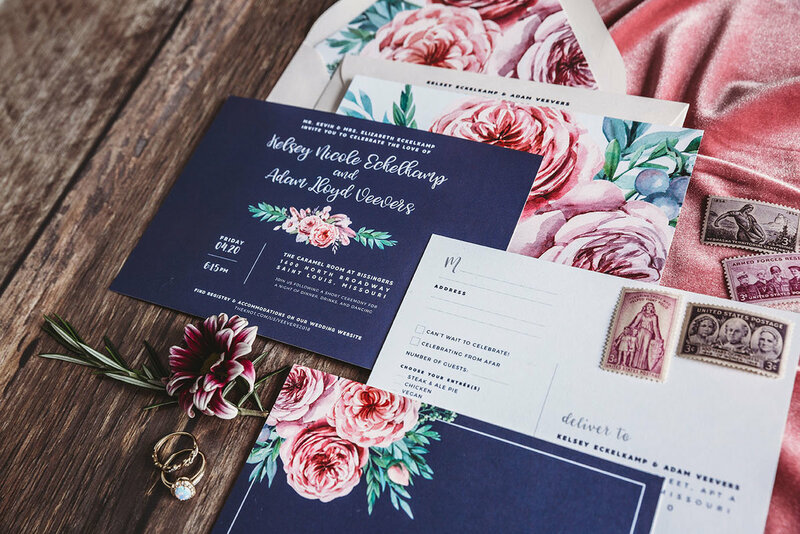 At Leighwood Design Studio, I focus on creating relationships with each one of my clients to help them share their unique and adventure-filled love story in a beautifully compelling way through custom designed wedding invitation and day of designs. 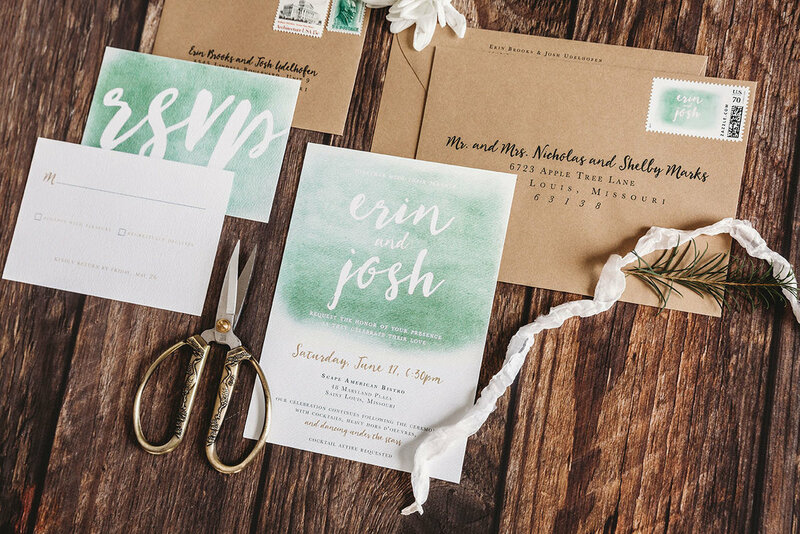 I believe that being able to enjoy your engagement is one of the best feelings in the world, and you shouldn't have to worry about the little details like when you're going to set aside enough time to address all 200 invitation envelopes you have to send out. Go enjoy that weekend getaway, I've got you covered! The Leighwood Design Studio design process is focused on being collaborative from the beginning. 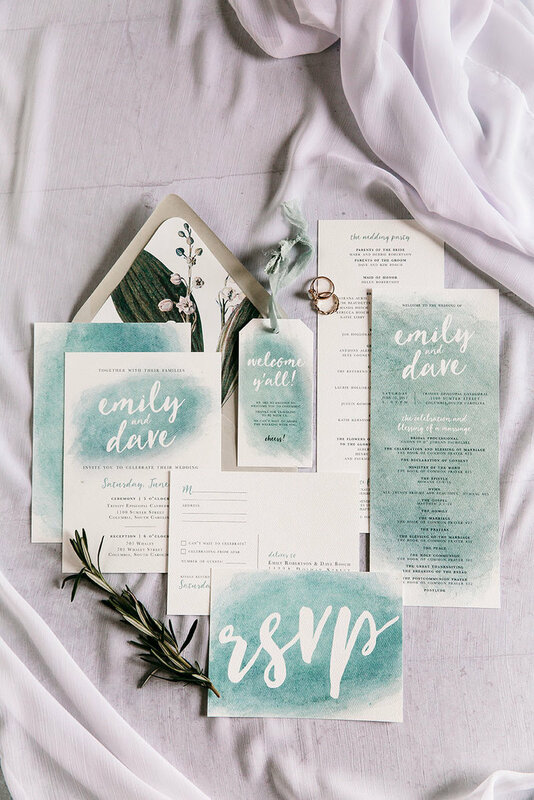 I love gathering inspiration from you and your Pinterest boards to create a unique style guide prior to diving into the design of your invitation suite. 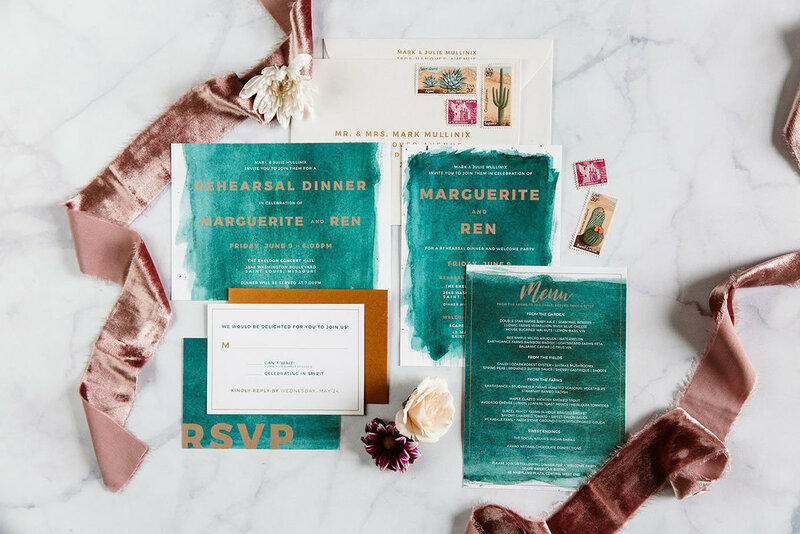 Each suite is perfectly coordinated with your event in mind and shared with you through a completely digital proofing process—keeping things streamlined and simple. 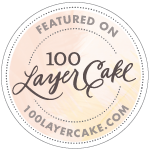 Even before you officially become a Leighwood Design Studio couple, I want your experience to feel special. and—most importantly—discuss what's more important to you. 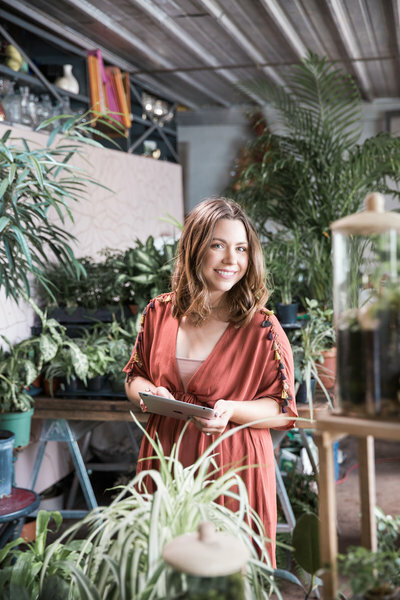 For non-local couples, complimentary samples will be mailed following our phone or video consultation so that you get the same hands on experience. 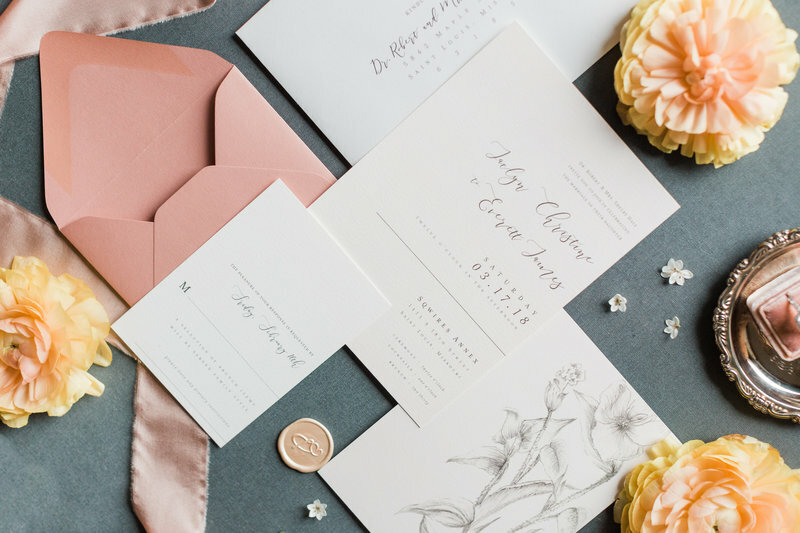 The average Leighwood Design Studio couple invests between $1,400–$2,000 on their custom stationery suite. Each custom Leighwood Design Studio collection is crafted for you and to tell your unique love story. 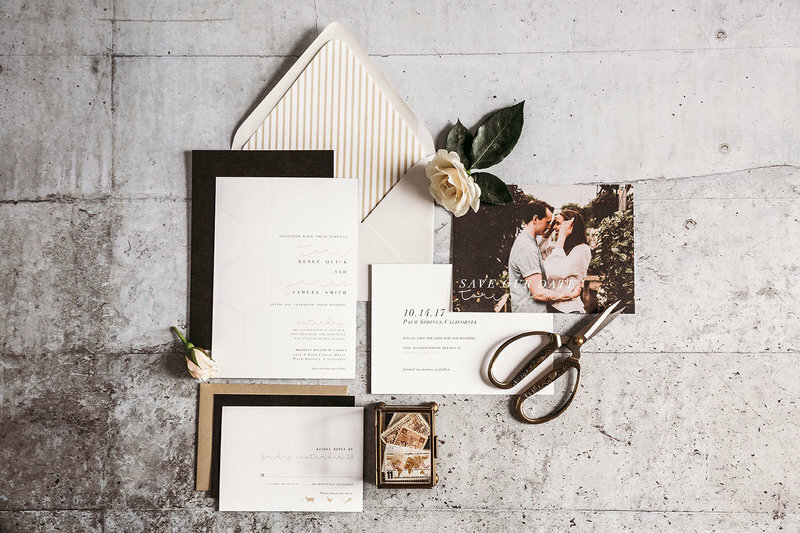 Together we will determine what's most important to you and your partner to create the most beautiful stationery suite for your wedding. 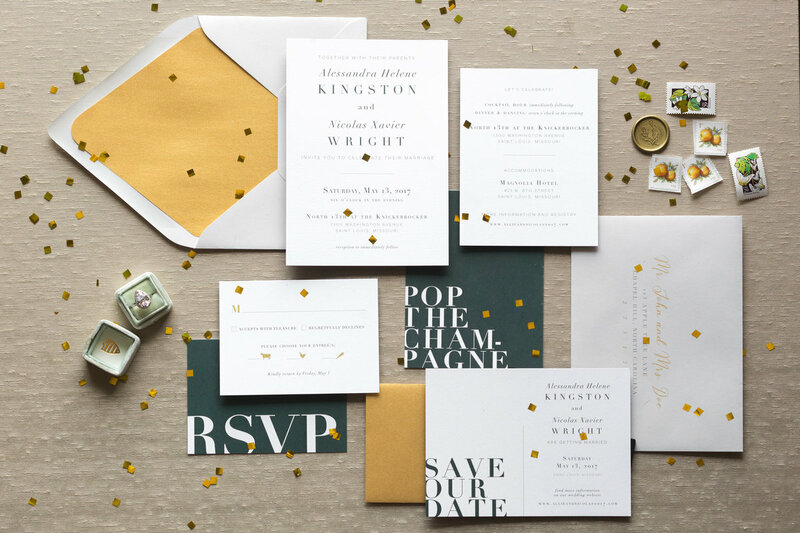 "We will gladly use Leighwood Design Studio for our future paper design needs. 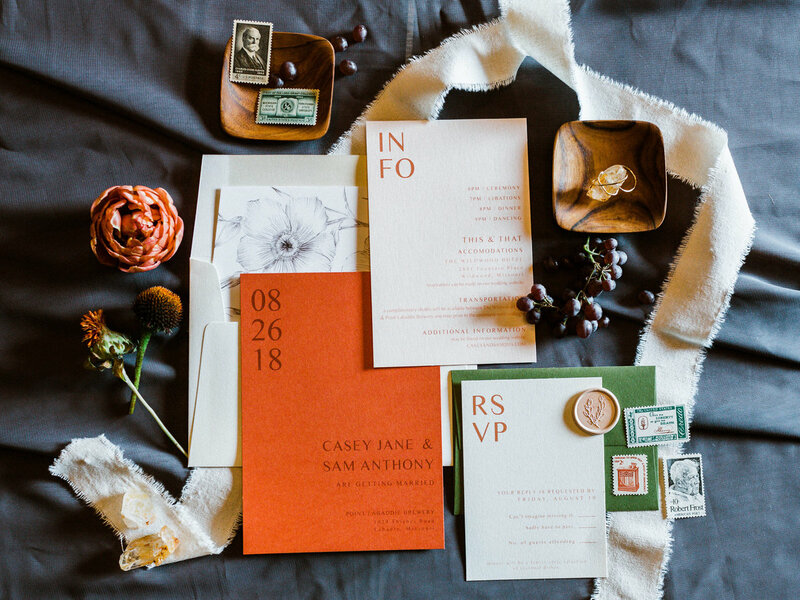 Amanda is a pro: she quickly understood the aesthetic we wanted for our wedding invitations and delivered a suite that fit the bill. 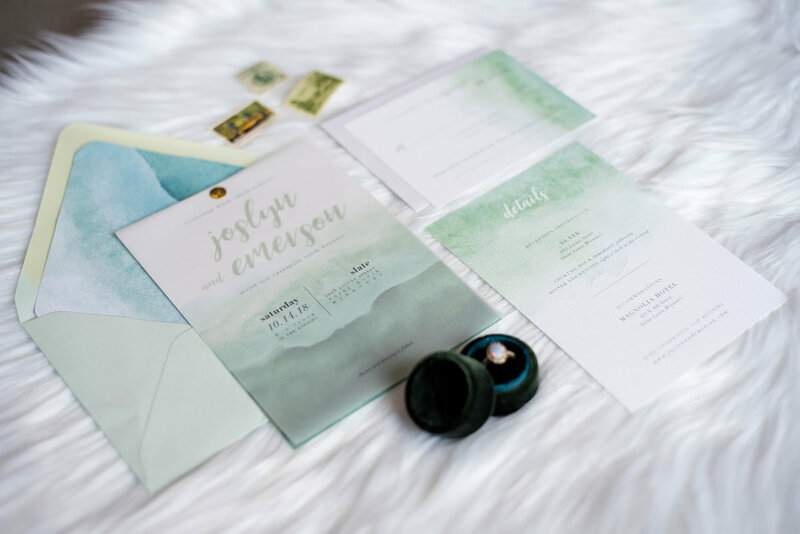 Our wedding guests loved the invitations and commented on how they set the tone for our event. 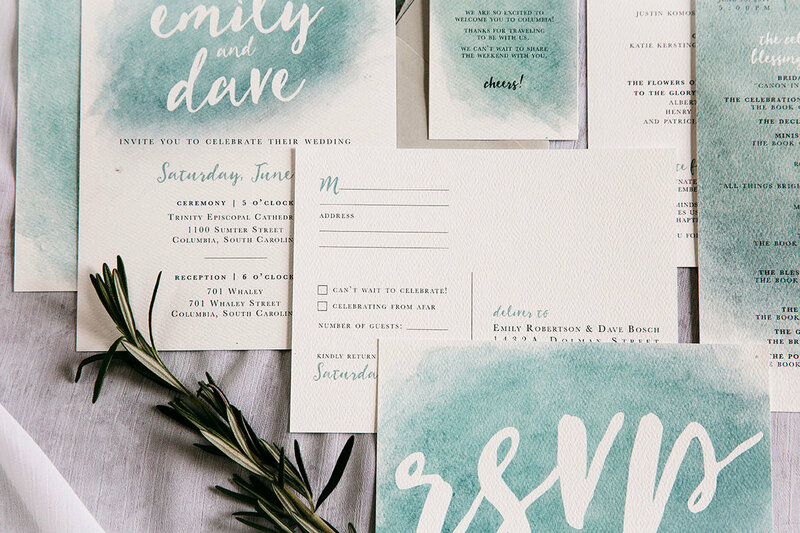 We loved Amanda's work so much that we followed up with matching, custom thank you notes. Our advice? 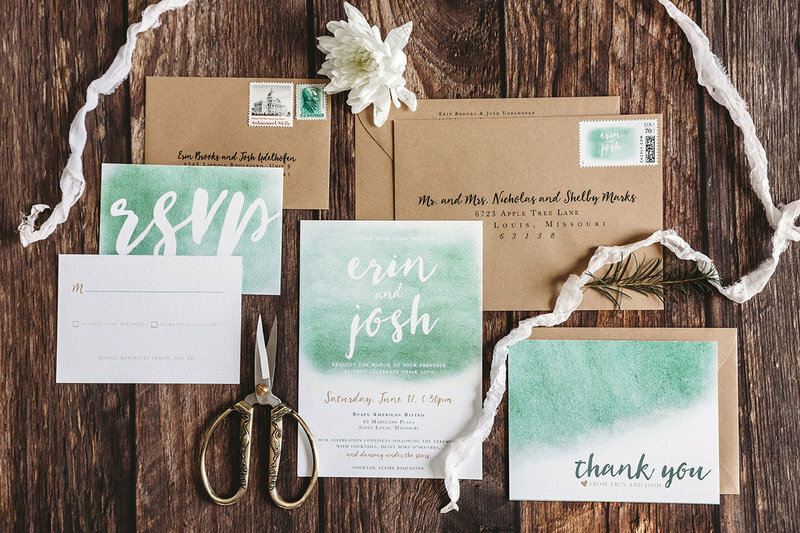 Skip the big name online shops and work with Leighwood Design Studio. For your time and money, Amanda's product simply cannot be beat." 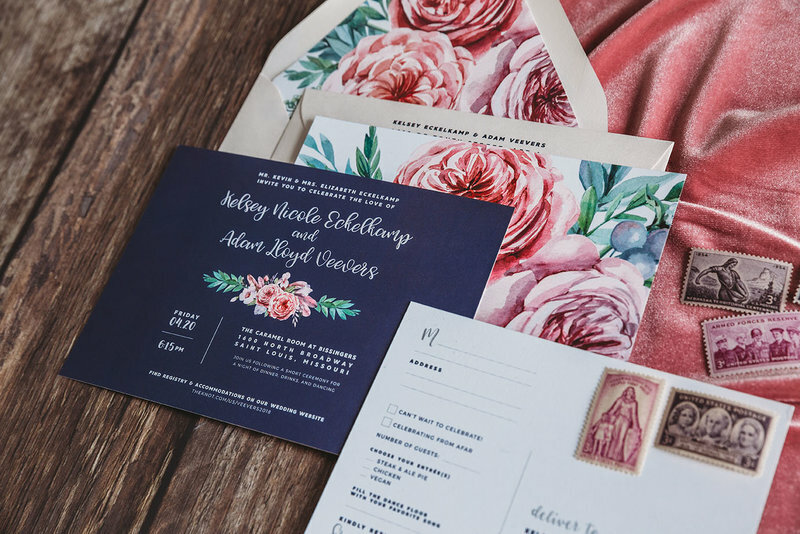 "From our first interaction to our last, Amanda went above and beyond to make sure that we were satisfied with the beautiful paper products she created for us. 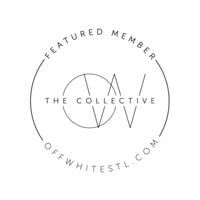 She communicated professionally, was transparent with her creative process, and was very open to feedback. I felt comfortable giving her my opinions and knew that she'd take them and make something beautiful! We got so many compliments on our wedding invitations thanks to Amanda's hard work. I can't recommend her enough!" "Amanda did such an amazing heartfelt job for all our wedding details, she completely made our day. She was totally in tune with our vision, communicated effortlessly, and made our special day so much! Thank you for all your hard work!"